The Australian mortgage adviser trade body the MFAA has welcomed the government's decision to soften its stance on trail commission. 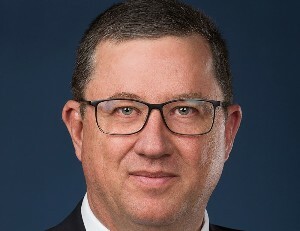 Mike Felton, CEO of the MFAA, hailed the Australian government's U-turn, and decision to review trail in three years' time. Trail had been due to be banned from next July, but Felton believes the industry's voice is being heard. Felton said the decision "reflects the fact that the case for the removal of mortgage broker trail commission has not been made, nor has it been demonstrated that existing trail arrangements lead to poor customer outcomes." The development will be welcomed by New Zealand advisers, many of which expected an impact on their own trail payments due to the Royal Commission. About 44% of respondents to TMM's recent annual survey said they were unsure whether trail would be abolished completely. The Australian government made several comments in support of the mortgage advice sector on Tuesday, and Felton believes the Aussie government is placing more emphasis on consumer outcomes, following the Hayne report. He added: "“The Government should be congratulated for following this advice and protecting customer interests and mortgage broker viability. "The MFAA believes that preserving trail commission protects consumer outcomes. Trail is contingent income that is only paid to a broker if the loan is not in arrears, is not refinanced or does not involve fraud," he added. Australian advisers have made their voice heard with a nationwide advertising blitz, while major broking groups including Loan Market have enouraged customers to sign a petition on their behalf. Felton believes the Australian coalition government is taking stock of evidence rather than following Hayne's recommendations to scrap commission. "This announcement is consistent with the Treasury’s submissions to the Royal Commission and ASIC’s exhaustive, data-driven Review of Mortgage Broker Remuneration in 2017, which found no systemic evidence of poor outcomes for consumers linked to the broker commission structure. "The Treasury’s submission to the Royal Commission’s Interim Report indicated that the removal of trail would actually increase the incentive for brokers to seek transactions rather than customer satisfaction in the long term.," he said.